Horstman & Sons Country Store is your one stop online pet supply shop. We offer some of the lowest prices on pet supplies on the net. Our site features thorough information on all the pet supplies we carry all at the lowest prices anywhere! Click below to browse our Online Catalog. To the right you can see a small look at our spacious, clean and fully stocked retail location. So come visit us or shop online. Thank you for taking a look! We offer discounted pet supplies. We carry cat supplies, dog supplies and small pet supplies which include pet dog beds, orthopedic dog beds, heated dog beds, luxury pet beds, dog grooming supplies, pet grooming supplies, dog supplements, pet food storage, dog collars, dog bowls, raised dog bowls, dog treats, dog clothes, dog sweaters, dog crates, dog cages, dog kennels, and dog steps just to name a few. For our cat lovers we also carry cat beds, cat products, cat collars, automatic cat feeders, cat carriers, cat window perch, cat waterer, cat crate, cat treats and toys and flea and tick medicines along with frontline plus for cats. For our small pet friends we carry pet bird supplies including parrot cages, parrot food, bird perches including heated bird perches. Power bird kong is great for your bird to chew on and for the vain we carry bird mirrors. We can’t forget our wild bird friends. We carry a bird bath deicer. In our store we carry wild bird chow for any bird that may stop in for lunch. 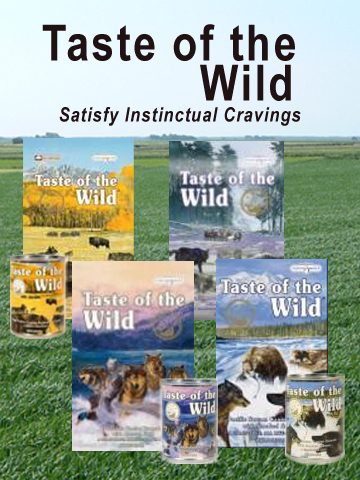 We carry Cardinal Cuisine, Finches Feast, Safflower, Chickadees Delight, Nyger, Black Oil Sunflower, Regional Recipe, Bird Luvers Blend, Shell Free Festival, Healthy Hearts, Premium Picnic, Woodpeckers Wish, and Chickadees Dee’light. Fish aren’t left out… we offer fish feeders, aquarium supplies, pumps and filters, test kits, goldfish food, cichlid food, tropical fish food and accessories. For our rabbit lovers we carry rabbit cages, and bowls. In our store we carry rabbit food, timothy hay, etc. along with Hampster food, gerbil food and chinchilla food. We also include our reptile friends and turtles. Horstman and Sons Country Store offers PetSafe products, including PetSafe dog fences, PetSafe training collars and PetSafe bark collars. 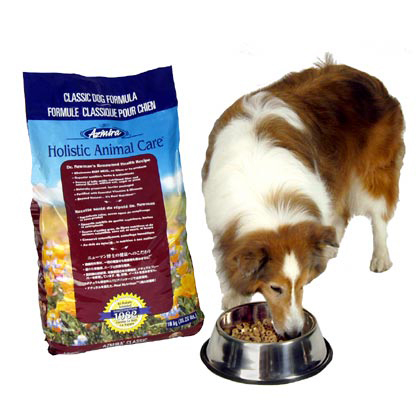 Our PetSafe products are name brand PetSafe, not low quality imports. We believe that to succeed in the pet industry you need to offer quality. PetSafe and Innotek Dog Fences The PetSafe Dog Fence is a buried wired dog fence that has been proven safe, comfortable, and effective for all pets over 8 pounds. The PetSafe dog fence works by producing a radio signal from the PetSafe dog Fence Transmitter through up to 2800 feet of Boundary Wire. The PetSafe dog fence Boundary Wire is buried or attached to a fixed object to enclose the Pet Area. You temporarily define this Pet Area with PetSafe dog fence Boundary Flags for a visual aid in training your pet. The pet wears a PetSafe dog fence Receiver Collar with Contact Points that touch his neck, and, once trained, is allowed to roam freely in the Pet Area. When your pet reaches the PetSafe dog fence Warning Zone, the Receiver Collar gives a warning beep. If your pet continues into the Static Correction Zone, a safe Static Correction will be delivered through the Contact Points to get his attention until he returns to the Pet Area. PetSafe and Innotek Training Collars PetSafe Dog Training Collars can save you thousands of dollars by preventing you from hiring a professional trainer to teach your dog the basic training you want him to learn. With one-time buy of the sturdiest and most dependable PetSafe training collar, you are sure to get good return investment of your money. Get a PetSafe training collar for your dog today and see how easy it is to have this PetSafe training collar to work with you. The PetSafe training collars are contoured to fit your dog's neck and has a sure fit diagnostics that can tell you is the collar fits properly or not. PetSafe Bark Collars Excessive barking can cause a real strain on the owner/pet relationship, and cause countless neighborhood squabbles. Dogs vary in size and temperament, and all barks are not created equal. That’s why PetSafe bark collars offers customized solutions -- a complete line of PetSafe bark control collars, from our UltraLight Sonic PetSafe Bark Collar to the more advanced Deluxe PetSafe Bark Collar, all at great PetSafe prices. PetSafe Dog Doors We offer a variety of PetSafe Dog Doors and PetSafe Pet Doors. PetSafe offers plastic dog doors and aluminum dog doors. These PetSafe pet doors allow your pet to enter or exit the door. In addition to regular PetSafe pet doors we offer PetSafe patio pet doors. PetSafe Patio pet doors allow you to provide your pet a door way into and out of your house through your sliding patio door. A PetSafe patio dog door will accommodate small dogs or large dogs, and now we even offer a patio cat door. For cold climates we offer a ruff weather PetSafe pet door. This PetSafe pet door is insulated with twin vinyl magnetic flaps and two door sliders for added insulation. When it comes to PetSafe pet doors, we offer a complete selection. PetSafe and Innotek Wireless Fences The NEW and improved PetSafe wireless dog fence is a great instant fence that is easy to set-up and transport. The PetSafe Wirless fence installs in seconds and can be taken with you on camping trips and powered through your car's 12-volt outlet. The PetSafe Wireless fence collar has 6, adjustable levels of correction, as opposed to only 1 with the old PetSafe collar. © 2009 Horstman and Sons Country Store, all rights reserved.